EMedStore takes pride in its work that has been ongoing for a long time now. We have served several happy customers who have availed our services from the very beginning. There several awards and achievements that were endowed upon us in the past year clearly show that our services are a class apart. 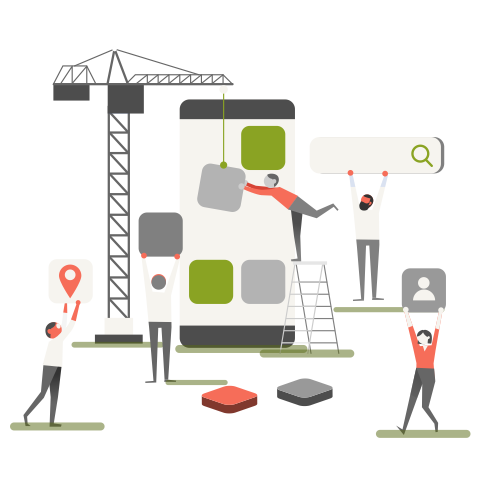 We have taken every effort to create the best medicine Apps so that the pharmacy industry can take the next leap in the current era. With an increase in smartphone users every year and the popularity of online shopping, this is the right time for every pharmacy to enter the online market before it is too late. Being in the pharmacy industry for a long time, we did our market research before starting our venture and realized that many small pharmacies might face dire consequences if they do not start working on their online presence already. A few big giants in the pharmaceutical industry would have more money to invest and will erase all the competition just by offering online presence to people. Moreover, during the market research, we also found out that there is a stark increase in the users who trust and prefer online shopping much more than going to a physical shop. These results are only obvious because life has become very busy for everyone. In most cases, people are on a serious budget and time crunch. Therefore, they are always looking for solutions that would save their time of taking their personal vehicle or walking to a store and then waiting in a queue to get their turn and then buying the final product. Most of them prefer to order their requirements on a medicine purchase App or even a medicine purchase website where they can look for the required items and buy them even while working on the sides. Finally, the item gets delivered to their doorsteps, and they can make the payment online or by the case or even by online wallets these days. Hence, our work and venture are deeply motivated by the idea of making online pharmacies capable of running in the market despite the changes in the market scenario. We want to enable them to have an online presence so that they can sell their medicines and other products online. However, we do not restrict ourselves to the limited scope of pharmacies that offer English medicines and expand it for the vendors who sell homeopathy medicines, OTC drugs, beauty products and much more. We also expand the scope for the B2B vendors and help you to bring your business online. 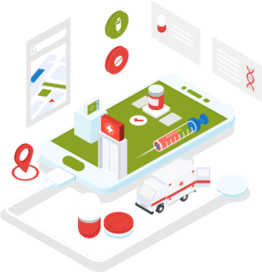 After accomplishing the first step, we also offer services that deal with the Marketing Strategy for Online Pharmacy to bring your Medicine Website and the Online Pharmacy App to the forefront. The Digital Marketing Strategies for Pharmacy are very different from traditional advertising and marketing Strategies. Therefore, we also have expert marketing strategists on our team who are ready to provide you with all the best practices while taking your businesses online. You can also opt for our marketing services to help your business prosper in the online world.